While the Boston Marathon has long had an unsaid understanding regarding hundreds or more runners jumping in as unofficial entrants, with security increased this year, the BAA announced more enforcement of this long understood policy. That didn’t stop many from trying anyway (we all saw several removed from the course), and the trick to not get taken off the street was apparently manufacturing fake bibs. This has led to some shaming of said dishonest citizens, as well, and lots of emotions on both sides of the debate. After posing the question around the WLBT staff, we got some good responses. The points and counterpoints are here for your consideration. Sarah: Honestly, as a runner, I am torn. I think the jump to crucify these people via social media is a bit much. It was practically impossible to get into the marathon this year (believe me, I tried), even for those qualifying. If you really want to run, bandit running is a means to an end. However, what these people did was wrong. Very wrong. But there are always bandits who run the Boston Marathon and while it is dangerous/disruptive from the race organizer viewpoint, the Boston Marathon has a history of tolerating them. So much so that they hold them to the later wave so as not to disturb any of the faster runners. But, from a runner’s perspective, I can see the frustration of these people just copying someone’s bib to sneak in as a bandit “undetected.” People pay the entry fee, train hard to qualify, or raise thousands of dollars just to get the chance to run the race. To then basically steal someone’s ticket into the race in order to avoid getting kicked out, is shady. 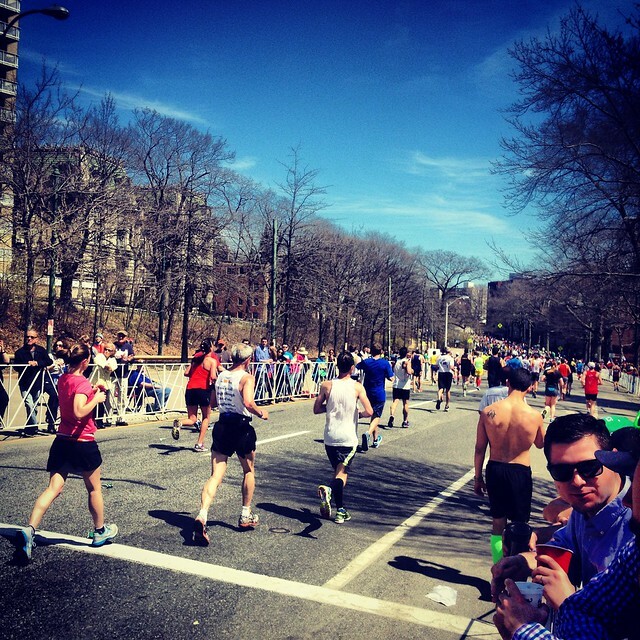 I’ve had friends who’ve bandit the Boston Marathon AND raised money for a charity. This doesn’t bother me. But not every bandit does this. I think it just depends on why you chose to bandit. Everyone has a story and a reason for why they chose to run without an official entry. But of course, safety is a HUGE concern. I get it. For me, anyone who is crazy enough to want to run a marathon that badly that they bandit, more power to them. Just don’t take my finisher’s medal. Dave: I really have a hard time trying to shame anyone who ran 26.2 miles and raised money for charity while doing it. Were they completely free of guilt? Did the original runner not get a medal? Did these kids not train? Does what they did actually take away from her really incredible accomplishment? The answer, across the board, is no. There’s a history of Boston and bandit runners, pretty well known. This isn’t the first time people have crossed the finish line without being officially registered. Thousands have done it year after year, the change this year was for a different reason, and it will happen again. It’s worth knowing about that, and I don’t intend to change my opinion on it because these kids put a piece of paper on their chests. This entry was posted in Sports Department by WLBT Staff. Bookmark the permalink.